WASHINGTON — Deep-freezing donated organs might one day help improve the transplant supply but scientists must first figure out how to thaw the delicate tissue without it cracking. Now researchers are taking a first step toward that goal, using nanotechnology to create super heaters for preserved tissue. 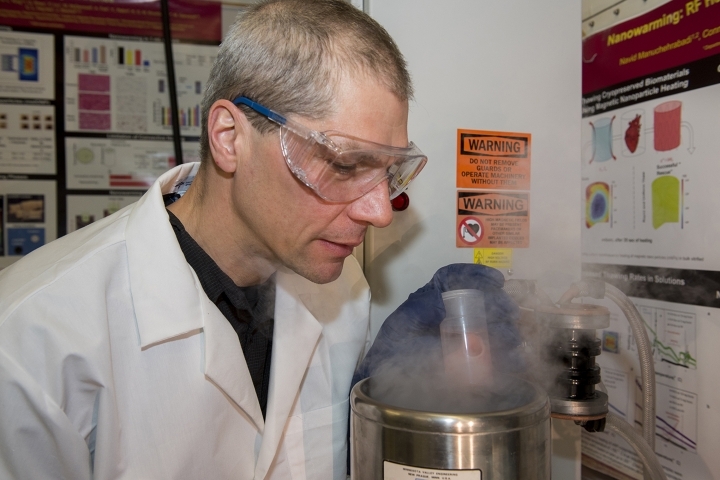 University of Minnesota researchers call their approach "nanowarming," and they reported Wednesday that it safely and rapidly thawed larger amounts of animal tissue than today's tools can. "We are cautiously optimistic that we're going to be able to get into a kidney or maybe a heart. But we are not, in any way, declaring victory here," said University of Minnesota mechanical engineering professor John Bischof, who led the research team. Doctors have longed to create an organ bank much like sperm or heart valves can be frozen and preserved for long periods, and specialists say the new research is an important proof of concept. 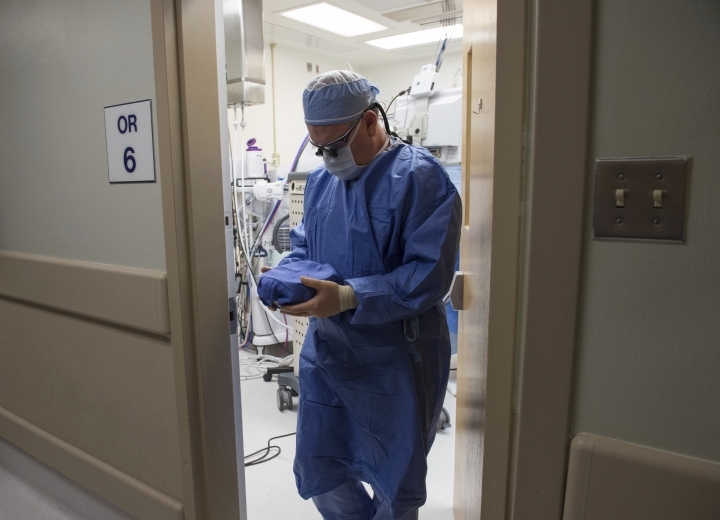 "If you could pull this off, it would really be transformational," said Dr. David Klassen, chief medical officer at the United Network for Organ Sharing, which oversees the nation's transplant system. About 119,000 people are on the waiting list for an organ transplant, and last year there were 33,599 transplants performed. One of the many challenges is that organs can't be stored for long outside the body — about four to six hours for a heart or lung, for example. And they're stored in a decidedly old-fashioned way for the race to a needy recipient, infused with a cold preservation solution and set with ice inside a cooler, Klassen noted. That's cold enough to slow cellular activity but they're not frozen. But today's thawing technology only works well with small or simple types of tissue. Try it in larger, more complex tissue and damaging ice crystals form, even cracking frozen tissue much like an ice cube cracks when it's dropped into water, Klassen explained. Bischof's team turned to metallic nanoparticles — iron oxide — for their new approach. To keep the tissue stable, warming would have to be super-fast and evenly dispersed. The nanowarming could heat 10 to 100 times faster than previously attempted methods, Bischof said. After nanowarming, small samples of human skin cells and pig arteries were as healthy-looking as those thawed by today's standard heating. Larger samples of pig heart tissue too big for today's heating tools also were thawed by the new technology without signs of damage, the researchers reported.